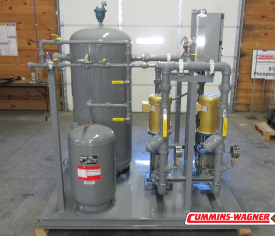 Cummins-Wagner EPS division provides recirculation packages for a wide range of flow rates and pressures. Our standard offering utilizes Goulds SV series centrifugal pumps to create a high-quality yet compact package. 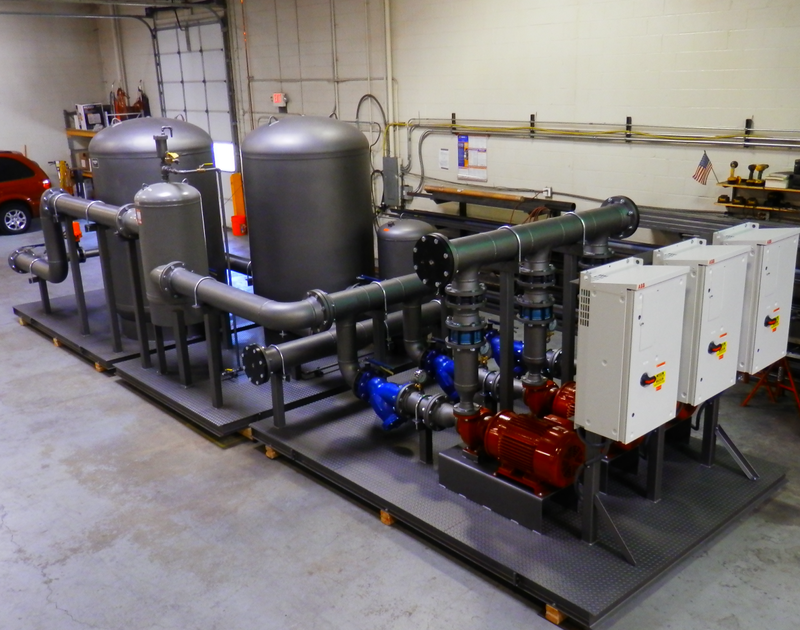 Recirculation packages are built to your exact specifications and needs. The EPS engineering staff will guide you through the design process to develop a custom tailored solution for your application. 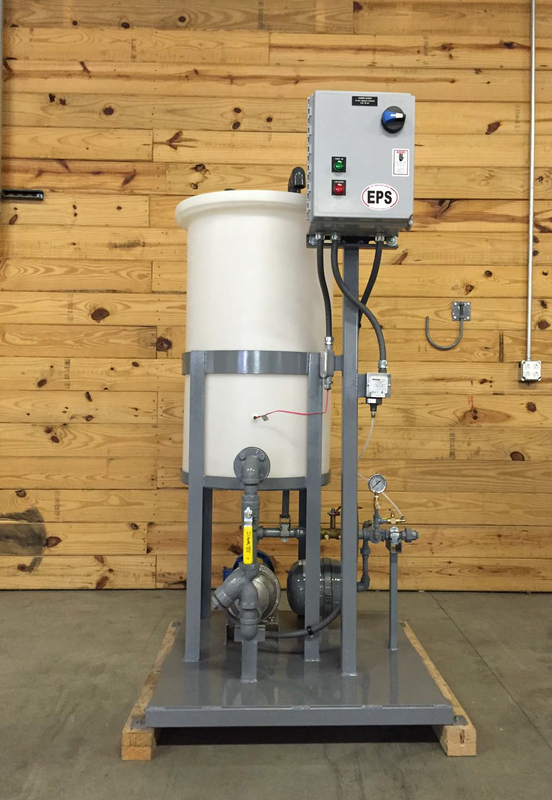 We also offer many optional features, such as buffer tanks, make-up feed manifolds, and expansion tanks to improve the function and efficiency of your closed loop system. Our duplex piping and valve arrangements can provide a system with 100% redundancy. Basic starter or PLC control panels are available in standard NEMA classifications. 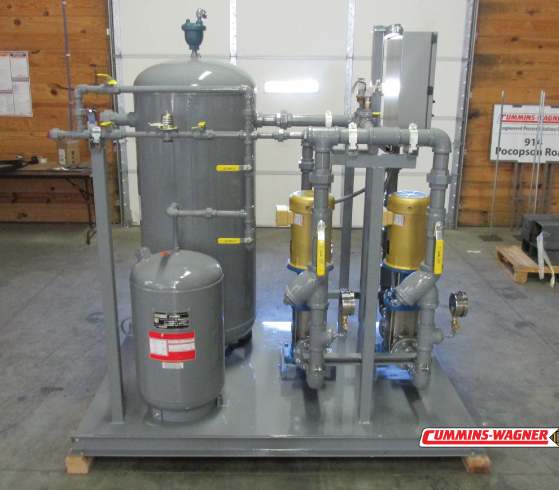 Every package is mounted on a painted steel frame or stainless steel frame. 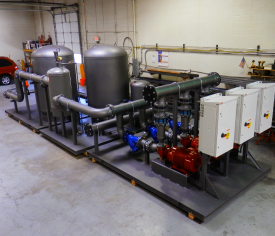 All units are fully assembled, painted, wired, and tested.